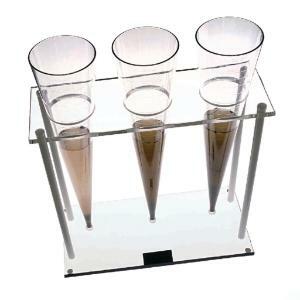 The leakproof cone is fully graduated from 0–1,000 mL for easy estimating at higher intervals, as well as enhanced with a leakproof closure that facilitates withdrawal of sediment for gravimetric measuring and allows for easy cleaning. It is made of unbreakable polycarbonate for long life. Size: 18"L x 4" dia.